Warren Buffett thinks that the Republican healthcare bill has one goal: to help rich people like him. During an interview with PBS NewsHour on Tuesday, the legendary investor brought along his tax return from last year to show just how much he would save from the two proposed Republican plans (American Health Care Act and Better Care Reconciliation Act). "Well, I brought my tax return along for the last year," Buffett told PBS' Judy Woodruff. "I filed this on April 15. And if the Republican — well, if the bill that passed the House with 217 votes had been in effect this year, I would have saved — I can give you the exact figure. I would have saved $679,999, or over 17 percent of my tax bill." Both the House GOP and Senate GOP bills repeal all of the taxes created by the Affordable Care Act, or Obamacare, which primarily fall on the wealthiest Americans. According to a study by the Tax Policy Center, the top 1% of earners in the US would see an average tax bill decrease of $37,240 under the proposed healthcare bills. Additionally, people in the top quintile of earners would get 64.2% of the benefit from the tax cut. "There's nothing ambiguous about that. I will be given a 17 percent tax cut. And the people it's directed at are couples with $250,000 or more of income," Buffett said. "You could entitle this, you know, Relief for the Rich Act or something, because it — I have got friends where it would have saved them as much as — it gets into the $10-million-and-up figure." Buffett also criticized Republicans for voting for a bill that would bring down their own taxes, saying that most members of Congress make more than $250,000 a year. "They have given themselves a big, big tax cut, if they — if they voted for this," the Berkshire Hathaway CEO said. Buffett also reiterated his call for a single-payer system for healthcare, which he said would be "more effective." Born Aug. 30, 1930, Buffett was always great with numbers. Aside from recording license plate numbers, Buffett would have his childhood friend Bob Russell quiz him on city populations from an almanac — and Buffett would nail the numbers dead-on. Though he loved numbers, it was money that truly fascinated Buffett in his early years. At the age of five, Buffett opened a sidewalk gum stand, followed by a lemonade stand — which he placed on Russell’s street where foot traffic was heavier. Looking at Buffett’s family history could help explain why the Oracle of Omaha was such a natural when it came to money and business. His great grandfather Sidney Homan Buffett perfectly timed the opening of his S.H. Buffett grocery store in 1869, just as the railroad boom took off around Omaha, Neb. Sidney’s son Ernest, Warren’s grandfather, worked in the family business before opening his own successful store, Buffett & Son, in 1915. Ernest’s son Howard had hopes of being a journalist, but after marrying Leila Stahl — Warren’s mother — in 1925, he took a more secure job at an insurance company. Later, Howard would work as a securities salesman for Union Street Bank when the stock market was hot. But that all changed with the Great Depression. The Great Depression shaped who Warren Buffett would become. Ernest had been skeptical of the stock market, and the closing of Union Street Bank in 1931 seemed to prove him right. Howard was unemployed and begrudgingly took a loan from his father, instilling in Warren an important lesson against borrowing: Save your credit, for that is better than money. From his father, Warren also learned about his obligation to give back to the community. And it was his father who introduced young Warren to Wall Street during a trip when he was 10 years old. Fascinated by stocks, Warren bought his first stock at age 11 — three shares of Cities Service preferred for himself and three for his sister. Though Warren made a net profit of $5 from Cities, he could have made far more had he been more patient — a lesson he would hold on to for life. Warren Buffett graduated from Woodrow Wilson High School in 1947 and enrolled in the Wharton School of Business at the University of Pennsylvania. The decision for Wharton was due to pressure from his father. Buffett knew he was earning plenty and felt college would be a waste of time and money. As it turned out, Buffett felt the curriculum was uninteresting. He transferred to the University of Nebraska-Lincoln, enrolling in five courses for fall 1949 and six for spring 1950. Juggling full-time work and an accelerated curriculum, Buffett graduated in only three years with a degree in Business Administration. Graham introduced to Buffett a methodical approach to investing in the stock market. In essence, Graham taught Buffett what would be later called value investing: looking for companies so cheap they pose little to no risk but are undervalued given their intrinsic worth. Under Graham’s tutelage, Buffett graduated from Columbia with a Masters in Economics in 1951, worked as an analyst for Graham at Graham-Newman Corp. and established his own successful firm in 1956, the Buffett Partnership. Already a successful investor, Warren Buffett eyed a new venture in the struggling textile manufacturing firm Berkshire Hathaway. Horatio Hathaway founded Hathaway Manufacturing Company in 1888 and Berkshire Fine Spinning Association had roots as far back as 1790 to Samuel Slater. Both companies endured the ups and downs of the textile industry in the U.S. The two merged into Berkshire Hathaway in 1955, but by the 1960s, Berkshire Hathaway found itself in dire straits. Buffett took notice of what looked like an undervalued company with potential. Buffett, through the Buffett Partnership, became the majority shareholder of Berkshire Hathaway in 1963. Two years later on May 10, Buffett and his firm took over Berkshire Hathaway. Under Buffett’s leadership, Berkshire Hathaway expanded far beyond its textile origins. In 1967, it entered the insurance industry by acquiring National Indemnity Company, a step that paved the way for Buffett to acquire a stake in Geico in the mid-1970s. Through shrewd investments and company acquisitions, Berkshire Hathaway is now worth $360.1 billion, and ranks as the No. 4 largest public company in the world, reports Forbes. As a value investor, Buffett tends to invest his money in companies that seem undervalued compared to their fundamental value. Since he was a natural with numbers, value investing appealed to Buffett with its need for detailed financial research. Here’s a look at some of Buffett’s investments that paid off. Scandal rocked American Express in 1963, which hurt the company’s image and clouded its success and worth. Buffett, however, saw through the scandal and observed a company with loyal customers and a valuable franchise name. In January 1964, for only $13 million, Buffett gained a 5 percent stake in American Express. Three years later, its stock price reached $180 per share, earning Buffett a profit of $20 million. Coca-Cola wasn’t doing so well by the fall of 1988 before Buffett stepped onto the scene. Where many Wall Street experts saw a company failing to adapt and on its way out, Buffett saw immense value: Coca-Cola had a bankable franchise name, strong pricing power and didn’t require a lot of capital. Buffett started buying up Coca-Cola stock in 1988, eventually owning 100,000 shares by 1995. To this day, Berkshire Hathaway holds more than a 9 percent stake in the $190 billion Coca-Cola company, named the No. 4 most valuable brand in the world by Forbes. Like Coca-Cola, Buffett saw value in the Gillette brand, which was the main seller of razor blades in the world by 1989. That year, Buffett bought $600 million worth of preferred Gillette stock for an 11 percent stake in the company. Buffett’s initial investment turned into a $4.4 billion profit for Berkshire Hathaway when Procter & Gamble bought Gillette in 2005 — earning Buffett a cool $645 million in a single day. Warren Buffett’s net worth of $66 billion didn’t come without setbacks. Not even the Oracle of Omaha is infallible, and Buffett has endured his fair share of investment mistakes. There is at least one investment mistake that really stands out, mainly because Buffett openly acknowledged how bad it was. Dexter Shoe Company possessed exactly the features Buffett sought in a company: It had solid management, a valuable brand and competitive edge in the industry. So, in 1993, Buffett acquired Dexter at a cost of $443 million in Berkshire Hathaway stock. From this promising beginning, Buffett’s investment in Dexter turned south as cheaper overseas labor costs prevented the company from taking off. By 2001, Dexter had gone nowhere, and Buffett pulled the plug, merging it with another Berkshire subsidiary. Looking back on the investment, Buffett said in a 2007 shareholder letter, “To date, Dexter is the worst deal that I’ve made.” Berkshire shareholders lost as much as $3.5 billion from the deal. Having learned from his father the importance of giving back to the community, Buffett regularly donates his wealth to charity. Although Buffett has long been philanthropic, his charitable donations in 2016 stole headlines when he donated $2.86 billion in Berkshire Hathaway stock. Buffett actually donated the money to five different charities. 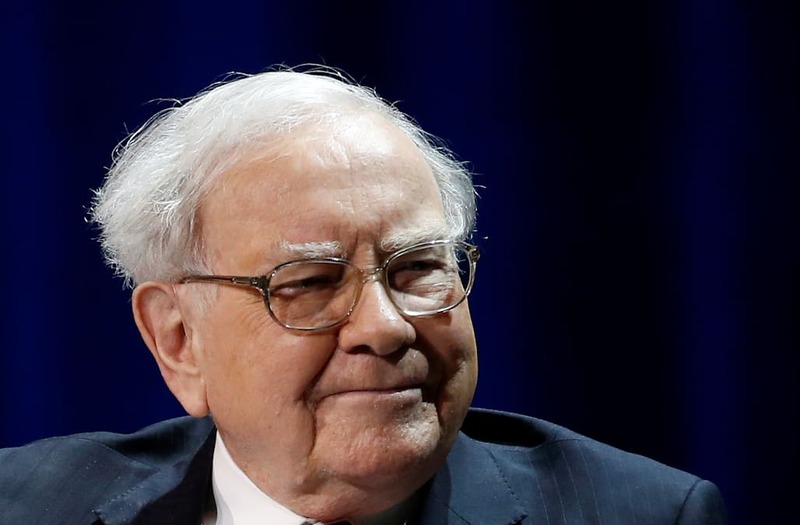 He donated the vast majority, 15 million shares, to the Bill and Melinda Gates Foundation, maintaining a promise he made in 2006 to give 85 percent of Berkshire Hathaway stock to the organization. Buffett then spread the remaining shares among charities his family runs: Susan Thompson Buffett Foundation; Sherwood Foundation; Howard G. Buffett Foundation; and NoVo Foundation. Find Out: Who Is the Next Warren Buffett?